Become a PDK-USC Member today! Please download the professional application, or the student application from these links and e-mail it to our VP of Membership, Sandra Garcia for quick processing. We must reestablish what we have lost! Getting new members and retaining others is the responsibility of every current member… We have an exciting year planned with outstanding speakers, including those lined up for our USC Faculty Night. Don’t let your colleagues and friends miss out on this wonderful opportunity. The time is now… obtain blank membership applications from your President or the Dean’s Office, and get those new members! Membership is open to professional educators and other individuals and institutions of good character who are committed to PDK’s purpose. Application is by nomination by good -standing members or by self-nomination. Individuals may join a chapter or become a direct member without chapter affiliation. The member commits to affiliation with PDK and support of the association’s purpose. 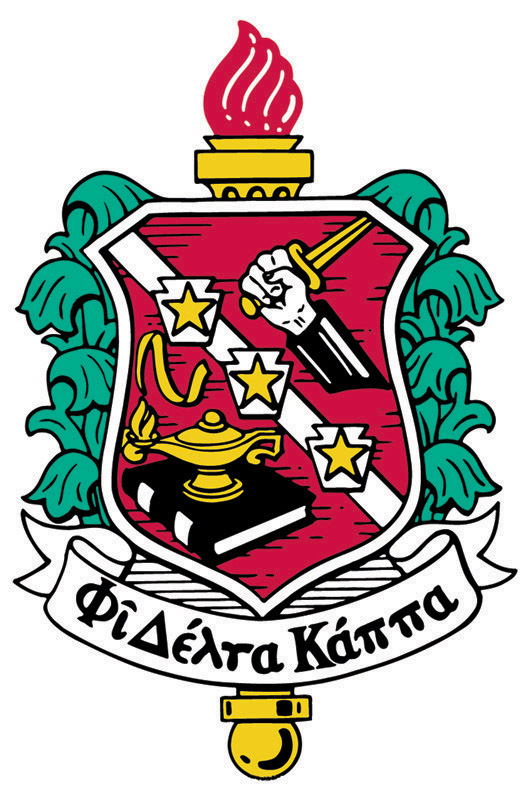 Phi Delta Kappa International is a Professional Association of Educators founded in 1906 with the creation of the first chapter at Indiana University. In 1955 the first international chapter at the University of Toronto was established under the leadership of former USC education faculty member, chapter president, and the only USC National/International PDK President, Dr. Emery Stoops, who passed away in 2009 at the age of 106 years! The Mission Statement of Phi Delta Kappa International is to promote high quality education, in particular publicly supported education, as essential to the development and maintenance of a democratic way of life. This mission is accomplished through leadership, research, and service in education. Currently there are approximately 60,000 PDK members over 600 Chapters throughout the world. Publications and International travel tours. Educational Foundation and Public School Forums. PDK supports the education community by offering professional services through the Reavis Educational Resource Assistance Program, district and school audits, professional development training, Topics and Trends E-Bulletin. PDK Chapters are college, university and community based, divided into geographic regions throughout the United States. Our Chapter, The University of Southern California Chapter offers five speaker forums a year, newsletters, on-going support and resources, and members current on local issues in education. Our PDK USC Chapter abides by The Bylaws of the University Of Southern California Chapter Of Phi Delta Kappa which are consistent and approved by PDK International.